1. Information on how to enter, Conditions of Entry 1 to 5 inclusive on the Entry Form and prize details form part of these Terms and Conditions. Entry into the Promotion is deemed acceptance of these Terms and Conditions. 2. The promoter is Brightlite Nominees Pty Ltd trading as Beacon Lighting, ABN 13 322 464 749 of 5 Bastow Place, Mulgrave Victoria 3170 (Promoter). 3. Entry is open to all Australian residents who are 18 years of age or over (Eligible Entrants). Directors, management and employees of the Promoter and their immediate families, suppliers, associated companies and agencies are not eligible to enter. 4. The winner of the competition will win a $1,000 interior lighting design package, which is a $1000 Beacon Lighting gift card, plus one free In-Home lighting design consultation valued at $100. The $1000 worth of lighting products can be spent on any products from Beacon Lighting, but it does exclude Beacon Solar. 5.To enter, an Eligible Entrant must insert their details on the entry form and hand the entry form into the store at Beacon Lighting Modbury, 985 North East Road, Modbury, SA,5092 during the promotion period of 9.00am AEST on Saturday 13th April 2019 until 5.00pm AEST on Monday 13th May 2019. Only one entry per Eligible Entrant accepted. 6. The prize is not transferable, exchangeable or redeemable for cash. The prize does not include installation of products from Beacon Lighting or delivery. Those costs are the sole responsibility of the winner. 7. The prize draw will take place at Beacon Lighting Modbury, 985 North East Road, SA, at 9am on Tuesday 14th May 2019. The winner will be notified by mail and or telephone as far as practicable on the day of the draw but no later than 5 business days. 8. The gift card will not be replaced if lost, stolen, damaged or faulty, unless the loss or damage is proven to be the fault of Beacon Lighting or its employees. 9. Beacon Lighting Modbury, 985 North East Road, Modbury, SA, 5092. If any prize is not claimed within 3 months of the date of the draw, the Promoter will conduct a further draw on Wednesday Monday the 12th August 2019. The winner of any further draw will be notified by mail and telephone. 10. The Promoter’s decision in relation to any aspect of the competition is final and binding on each person who enters. No correspondence will be entered into. No responsibility is accepted for late, lost or misdirected entries. 11. To the extent permitted by law, the Promoter shall not be liable for any loss or damage whatsoever (including but not limited to direct or consequential loss) or personal injury suffered or sustained in connection with the prize[s]. The promoter accepts no responsibility for any tax liabilities that may arise from winning a prize. 5.To enter, an Eligible Entrant must insert their details on the entry form and hand the entry form into the store at Beacon Lighting Fortitude Valley, 111 Mclachlan Street, Fortitude Valley, QLD, 4006 during the promotion period of 9.00am AEST on Saturday 23rd March 2019 until 5.00pm AEST on Saturday 6th April 2019. Only one entry per Eligible Entrant accepted. 7. The prize draw will take place at Beacon Lighting Fortitude Valley, 111 Mclachlan Street, Fortitude Valley, QLD, 4006 at 9am on Sunday 7th April 2019. The winner will be notified by mail and or telephone as far as practicable on the day of the draw but no later than 5 business days. 8. Beacon Lighting Fortitude Valley, 111 Mclachlan Street, Fortitude Valley, QLD, 4006 If any prize is not claimed within 3 months of the date of the draw, the Promoter will conduct a further draw on Sunday 7th July 2019. The winner of any further draw will be notified by mail and telephone. 5.To enter, an Eligible Entrant must insert their details on the entry form and hand the entry form into the store at Beacon Lighting Fortitude Valley, 111 Mclachlan Street, Fortitude Valley, QLD, 4006 during the promotion period of 9.00am AEST on Saturday 23rd March 2019 until 5.00pm AEST on Monday 22nd April 2019. Only one entry per Eligible Entrant accepted. 7. The prize draw will take place at Beacon Lighting Fortitude Valley, 111 Mclachlan Street, Fortitude Valley, QLD, 4006 at 9am on Tuesday 23rd April 2019. The winner will be notified by mail and or telephone as far as practicable on the day of the draw but no later than 5 business days. 9. Beacon Lighting Fortitude Valley, 111 Mclachlan Street, Fortitude Valley, QLD, 4006 If any prize is not claimed within 3 months of the date of the draw, the Promoter will conduct a further draw on Wednesday 7th August 2019. The winner of any further draw will be notified by mail and telephone. Information on how to enter, Conditions of Entry 1 to 5 inclusive on the Entry Form and prize details form part of these Terms and Conditions. Entry into the Promotion is deemed acceptance of these Terms and Conditions. Entry is open to all Australian residents who are 18 years of age or over (Eligible Entrants). Directors, management and employees of the Promoter and their immediate families, suppliers, associated companies and agencies are not eligible to enter. The winner of the competition will win a $1,000 interior lighting design package, which is a $1000 Beacon Lighting gift card, plus one free In-Home lighting design consultation valued at $100. The $1000 worth of lighting products can be spent on any products from Beacon Lighting, but it does exclude Beacon Solar. To enter, an Eligible Entrant must insert their details on the entry form and hand the entry form into the store at Beacon Lighting Moore Park, Shop GF 27 Supacenta, Moore Park, NSW, 2033 during the promotion period of 9.00am AEST on Wednesday 21st November until 5.00pm AEST on Friday 21st December 2018. Only one entry per Eligible Entrant accepted. The prize is not transferable, exchangeable or redeemable for cash. The prize does not include installation of products from Beacon Lighting or delivery. Those costs are the sole responsibility of the winner. The prize draw will take place at Beacon Lighting Moore Park, Shop GF 27 Supacenta, Moore Park, NSW, 2021 at 9am on Monday 7th January 2019. The winner will be notified by mail and or telephone as far as practicable on the day of the draw but no later than 5 business days. The gift card will not be replaced if lost, stolen, damaged or faulty, unless the loss or damage is proven to be the fault of Beacon Lighting or its employees. 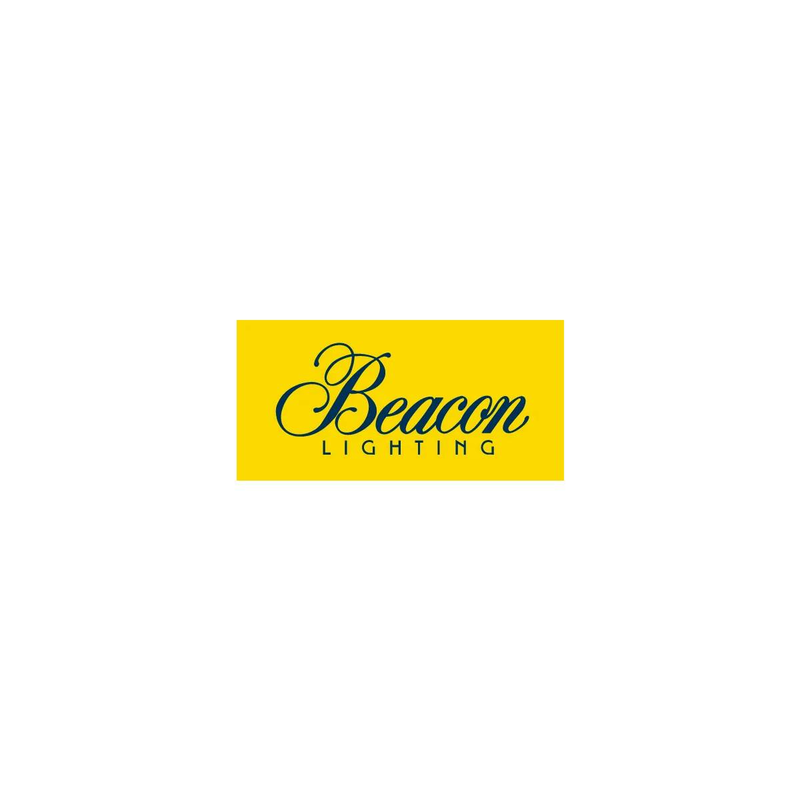 Beacon Lighting Moore Park, Shop GF 27 Supacenta, Moore Park, NSW, 2021 If any prize is not claimed within 3 months of the date of the draw, the Promoter will conduct a further draw on Monday 8th April 2019. The winner of any further draw will be notified by mail and telephone. The Promoter's decision in relation to any aspect of the competition is final and binding on each person who enters. No correspondence will be entered into. No responsibility is accepted for late, lost or misdirected entries. To the extent permitted by law, the Promoter shall not be liable for any loss or damage whatsoever (including but not limited to direct or consequential loss) or personal injury suffered or sustained in connection with the prize[s]. The promoter accepts no responsibility for any tax liabilities that may arise from winning a prize.